With so many cookery programmes currently clogging up the TV schedule, it’s hard not to be a bit inspired to get in the kitchen and start whipping up a storm. Baking is a fun, family activity that encourages you to unleash your creative side and spend more time with the people you love. Whether you’re making a cake, muffins, or simply a few homemade biscuits, baking with the family is a fun and relaxing way to spend a sunny springtime day. Before you get started, you’ll need to ensure that you’ve got the correct equipment. 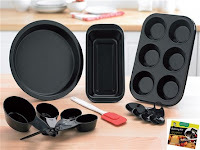 Listed below is a selection of 24studio’s best baking essentials that will get you on your way to creating delicious cakes and biscuits in no time. Save yourself some time and effort by whipping up cake mixtures with this durable, high-performance food mixer. Why mix by hand when you don’t have to!? 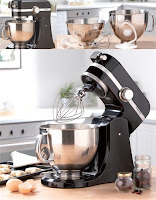 With its wealth of accessories, 10 variable speeds, and 2 stainless steel mixing bowls, the Grundig food mixer is the most resourceful food mixer on the market. Use the dough hooks for kneading bread, the wire whip for eggs and cream, the flat beaters for standard mixing, and the scraper tool for removing excess food from the mixing bowls. 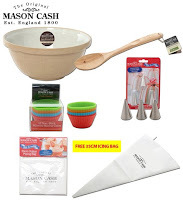 If you’re working on a tight budget and an electric food mixer is out of your price range, or if you simply prefer mixing by hand in the traditional way, then a Mason Cash baking set is worth considering. • Earthenware mixing bowl, which is chip resistant and both dishwasher and freezer safe. 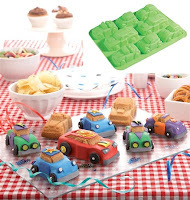 Silicone cake moulds are ideal for children’s birthday parties and general springtime fun. 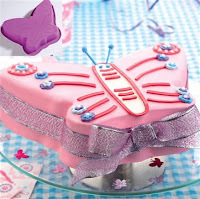 Bake a cake in a funky shape and you’re guaranteed to put a smile on a child’s face! You could even use the moulds for jelly if you prefer. 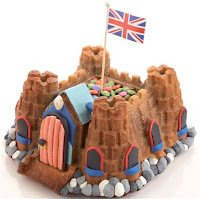 Some of our cake mould shapes include castles, butterflies, cars and trains. If you’re new to baking and aren’t sure where or how to get started, then this 13-piece baking kit is for you. It contains a simple guide containing handy tips and easy-to-follow recipes to help get you on your way. Please note that the cake pan, loaf tin and muffin tin all have a non-stick coating. 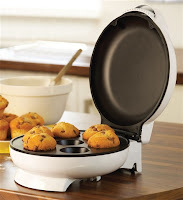 Whatever your favourite flavour of muffins may be, you’ll be able to bake them in no time with this super little muffin maker. It only takes 4 minutes to make 7 muffins! With its cool touch housing, thermostat and non-slip feet, it’s a safe and practical machine that all the family can use.